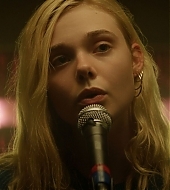 Totally Elle – The premier fansite for Elle Fanning » Blog Archive » Totally Elle is undergoing maintenance! Totally Elle is undergoing maintenance! Hello everyone! My name is Gabby and I have recently adopted Totally Elle. The site was using scripts that were slightly old, and so I decided to start the main page from scratch in order to give it a different look and new functions. I’ll be running this site from now on along with my friend Bella, who founded the fansite ellefanningbrasil.com a few years ago, and we’ll be working on getting it up-to-date as soon as possible. Our new themes were designed by Nicole, from NowhereLand9 Design, and Neide, from KLDS3.